Conversa, healthcare’s conversation platform used for improving the doctor – patient relationship, today announced it has secured $8M in Series A funding from a syndicate of top healthcare investors led by Northwell Ventures, the corporate venture arm of Northwell Health, New York’s largest healthcare system with 22 hospitals and a nationally-recognized innovator in the area of delivering world-class patient centric care. Additionally, Epic Ventures, Healthgrades, and current investors contributed to the round of funding which will be used to expand Conversa’s product capabilities and clinical conversation library, enhance its customer and distribution partner operations, and scale its team to meet the market’s growing demand. Northwell Ventures, the corporate venture arm of Northwell Health, led the funding round. The investment will be used to expand Conversa’s product capabilities and clinical conversation library, enhance its customer and distribution partner operations, and scale its team to meet the market’s growing demand. Conversa announced today it’s secured $8M in Series A funding from a syndicate of top healthcare investors. The Conversa Conversation Platform™ improves how patients and care teams communicate around key health experiences by delivering smart, automated and patient profile-driven conversations. Sourcing from more than 400 biometric devices combined with clinical, claims and patient-generated data, providers receive data in real-time. 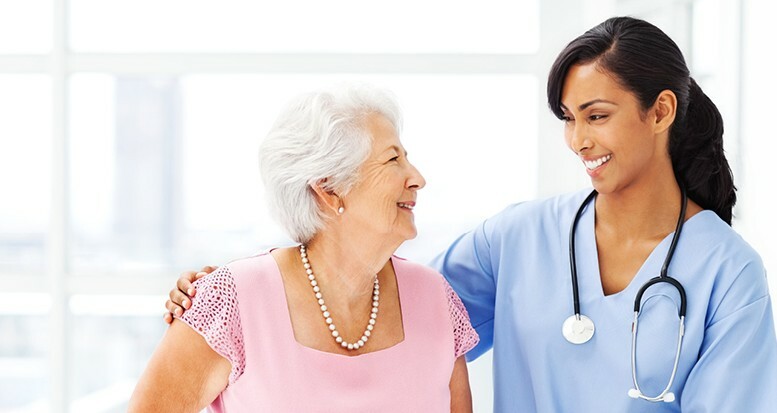 A recent industry report by Frost & Sullivan stated that Patient Engagement is one of the most important drivers of the transformation of healthcare. The report states that there will be a significant shift from manual to automated patient engagement enabling care management programs to be dynamic, evidence-based, and personalized, creating new value opportunities in healthcare. 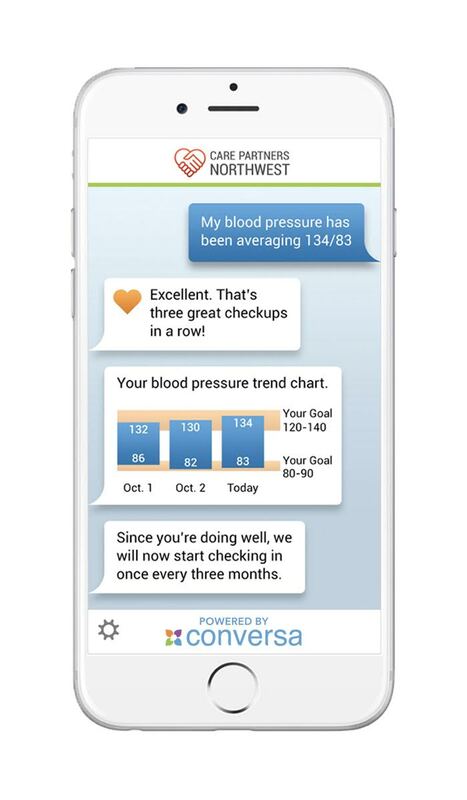 The Conversa Conversation Platform™ directly advances this transition improving how patients and care teams communicate around key health experiences like chronic condition management, post discharge, pre- and post-surgery, patient education, medication adherence, scheduling appointments, and lifestyle health coaching. As healthcare’s conversation platform, Conversa delivers an easy and meaningful way for care teams and patients to communicate. Conversa has an extensive library of over 50 clinically-intelligent conversation programs that include asthma, chronic obstructive pulmonary disease (COPD), congestive heart failure (CHF), diabetes, hypertension, joint replacement, and many more. Using Conversa’s innovative and scalable technology, healthcare organizations can deliver automated, personalized doctor – patient conversation experiences that lead to more informed and meaningful patient relationships, efficient population management and, ultimately, better clinical and financial outcomes. For more information, visit conversahealth.com. Northwell Health is New York State’s largest health care provider and private employer, with 22 hospitals and over 550 outpatient facilities. It cares for more than two million people annually in the metro New York area and beyond, thanks to philanthropic support from our communities. Its 61,000 employees – 15,000+ nurses and nearly 3,400 physicians, including nearly 2,700 members of Northwell Health Physician Partners – are working to change health care for the better. Northwell Ventures (NV), the corporate venture arm of Northwell Health, launched a fund to invest in and actively manage companies that represent a current or future strategic interest. The NV fund seeks to identify and invest in novel technologies and business models that have the prospect to advance Northwell’s growth and generate attractive returns. The group, as a whole, works to accelerate Northwell’s broader strategic healthcare focus by utilizing Northwell as a laboratory to rapidly validate technologies, new business models, and conduct research to build profitable companies and increase the quality of care for our patients. EPIC Ventures is an early-stage venture capital firm located in Salt Lake City, Utah. Founded in 1994, EPIC Ventures’ mission is to find and support great entrepreneurs regardless of location. The firm focuses primarily on Series A investments across the IT stack, from SaaS to networking technologies. Healthgrades is the leading online resource for comprehensive information about physicians and hospitals. Today, more than one million people a day use the Healthgrades website to search, compare and connect with hospitals and physicians based on the most important measures when selecting a healthcare provider: experience, hospital quality and patient satisfaction.